Located on the northeast corner of Monroe & Loomis, just north of the middle part of Skinner Park. This is a parking lot now converted to dog park. Concrete, artificial turf, pea gravel. This park opens on Friday August 1st. 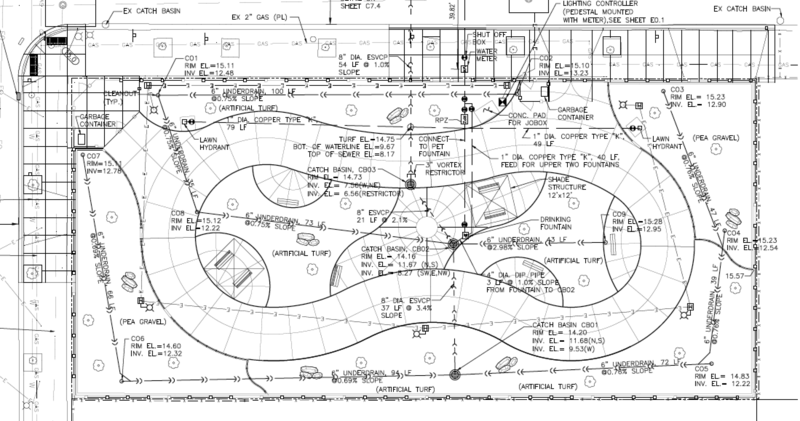 A construction drawing for the park (utilities).